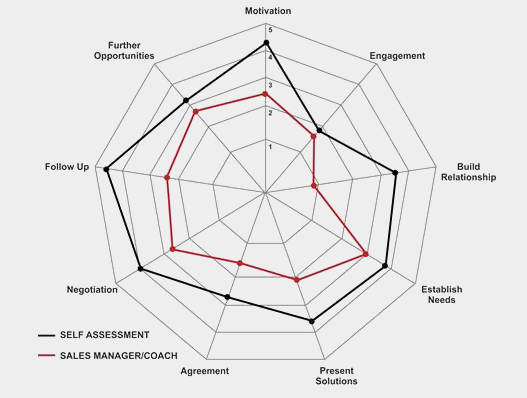 Looking to evaluate the sales competencies of your sales team? We have developed a unique sales tool called MTD Sales Insight, this 180 degree sales assessment can measure any competency that you like. The assessment is completed by the sales person and their line manager and they are role specific. Each assessment is unique and the competencies and skills being assessed have been mapped using National Occupation Standards and input from the Institute of Sales Management (ISM). Measuring skills is great but what about what’s going on inside a sales person’s head? It’s all well and good having the skills and ability to be a great sales person but you need to know “will” they do the job, “how” they will go about and “why” they are doing it. Our Sales Personality Assessment looks at a sales person’s motivators, behaviour and personal skills – the key ingredients for top level sales performance. Our competency based sales assessments are most commonly used as part of sales training programmes and for staff development. For training purposes they act as a training needs analysis tool as well as providing invaluable information on an individual basis. Therefore training needs can be grouped and also individual requirements catered for through a blended approach including workshops, digital learning and one to one coaching. 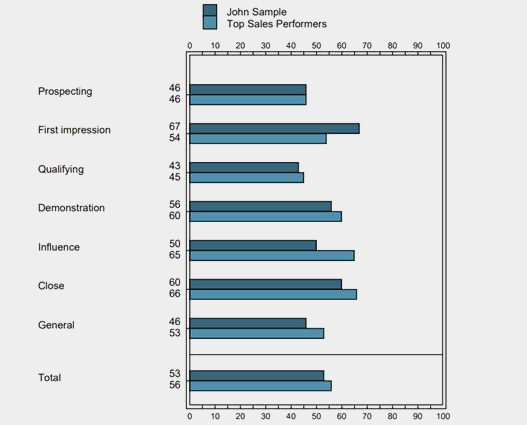 In terms of recruitment and selection our sales personality assessments are most commonly used to unveil the motivations and behaviours of potential sales people before they are offered a role. Do they have the mindset that you are after? Will they crumble in the face of resisitance? Why do they love selling? All of these questions and lots more will be answered providing you with a more all round picture of what you will be getting. We offer a number of sample reports so you can see the output.